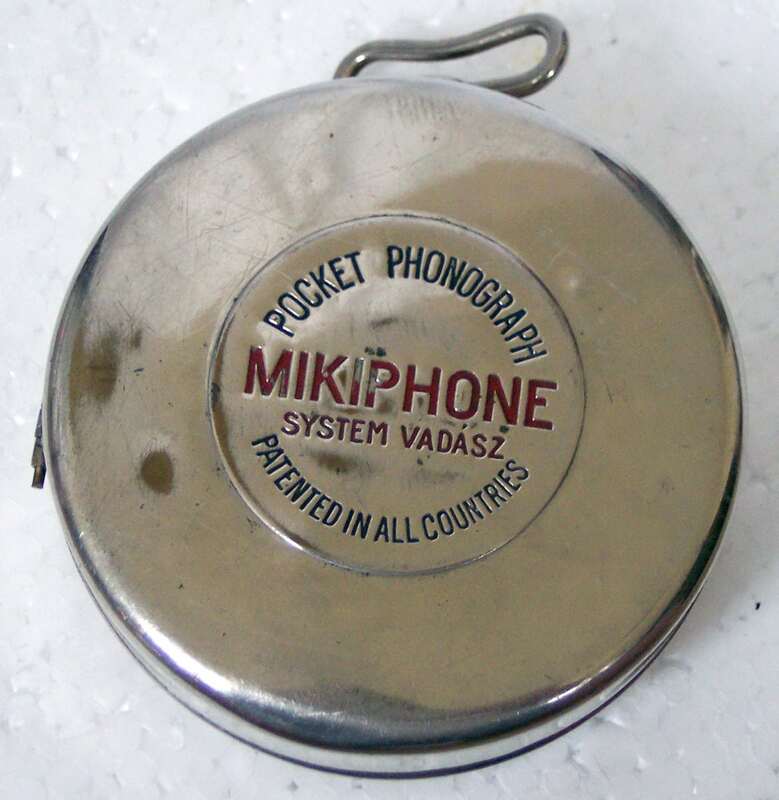 The Mikiphone is the smallest talking machine ever placed on the marked, folded up to the size of a large pocket watch or a small cheese case. 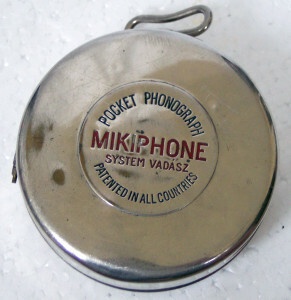 It was in November 1924 as the Mikiphone was patented by the Vadász brothers from Geneva. Later, there was signed contracts with the Paillard company from Ste-Croix to produce this talking machine. After some initial problems, the production runs at full speed. But the Vadász brothers were not able to fulfill the arrangement to distribute 10’000 pieces per month. Paillard reduced the production at 3’000 pieces each month but also this quantity was to high. 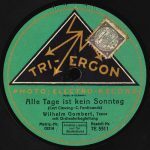 So in 1927 the production was cancelled. Totally about 180’000 Mikiphones were produced, some of them in a luxury version with golden or silver case for a pretentious clientele. 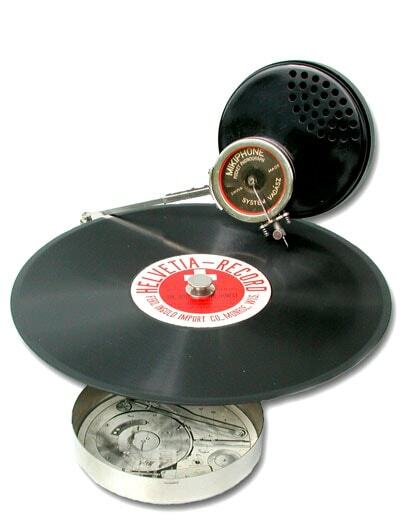 It plays records of up to 10 inches or 25 cm. 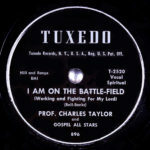 The arrangement of the packing is ingenious with the turntable having holes to accept parts of the sound box whose diaphragm is not on the usual side. 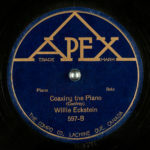 The resonator, which is used in place of a horn, is in two pieces witch fit concave to concave sides. Due to the small size of the turntable a spring clamp is supplied the records in place.